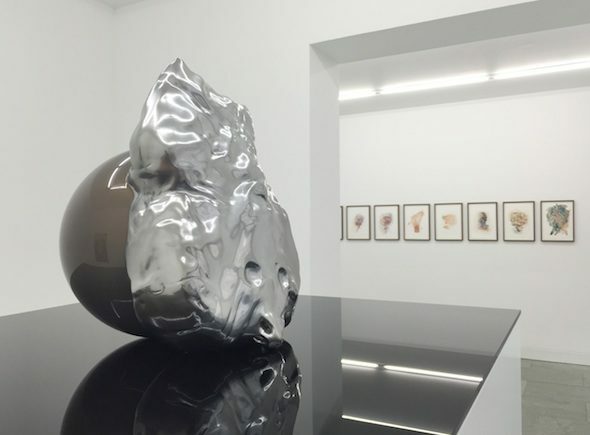 Danish, New York-based artist Asger Carlsen‘s current solo exhibition at Mitte gallery Dittrich & Schlechtriem is elegantly curated to reflect the artist’s subtle use of form and material. Although his works appear to use traditional sculptor’s materials – marble and clay – the artist’s works are in fact, for the most part, Photoshop creations, compiling hundreds of photographic sources in the image editing process. By placing his initial objects through various stages of reproduction, he creates digitized, dynamic moments in the otherwise immutable life of the work. 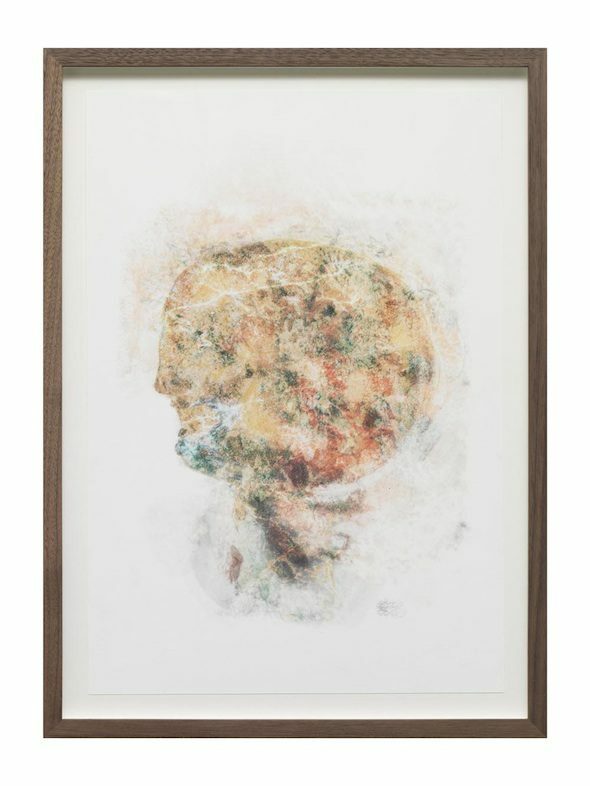 At first glance, the human facial forms do not immediately appear to the viewer, distorted as they are. The partial nose of a bust is lying on the pedestal, sniffing the surface, while something resembling an ear emerges from the centre of the shiny mass. 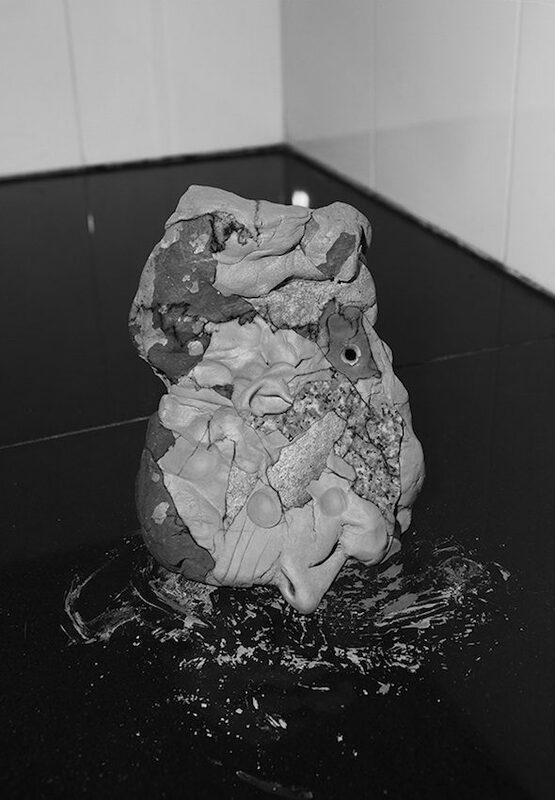 Though the materials change dramatically, the disturbing lumpy form – gesturing towards the signifiers of a head – remains constant. A former crime scene photographer for the New York Police Department, Carlsen has a trained and sensitive eye for the ways bodies appear in death. 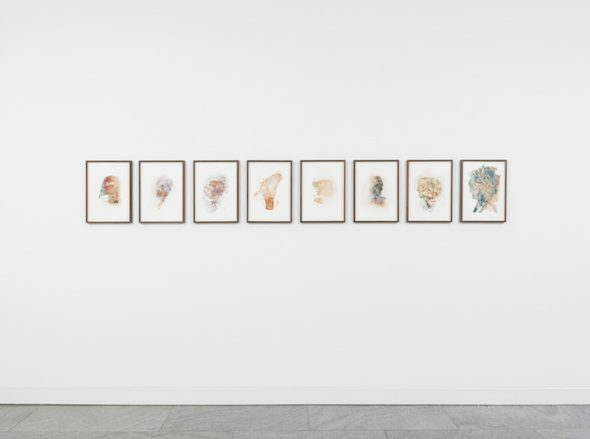 The title of the show, Drawings from the Hand, suggests an ink and paper collection, yet the exhibition is anything but. To read the title in a different way: Carlsen shows the many ways the hand is capable of producing graphics, beginning with a drawing and growing exponentially with added visual layers. The centrepiece of the exhibition is a 3D photopolymer resin print of a sculpture, with a bulbous backside. Drawings from the Hand is a deceptive exhibition, presenting itself initially as a traditional commercial sculpture and photography show which, when unpacked through closer inspection, reveals a magnitude of contemporary digital practices and techniques skillfully combined to create terrifying, all-too-human hybrid bodies. Blog entry by Alison Hugill in Berlin; Wednesday, Jul. 22, 2015.